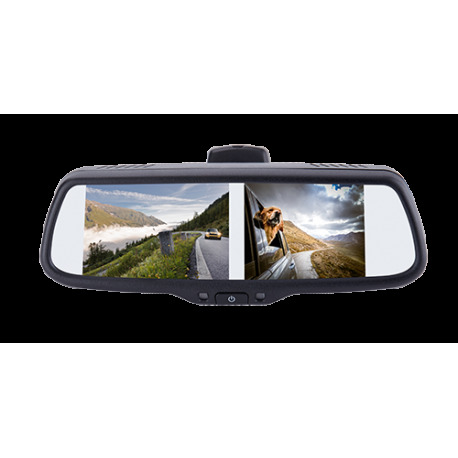 Enhance your rearview mirror with triple video. Backup cameras and blindspot cameras provide a level of visibility that a simple rearview mirror can never approach. 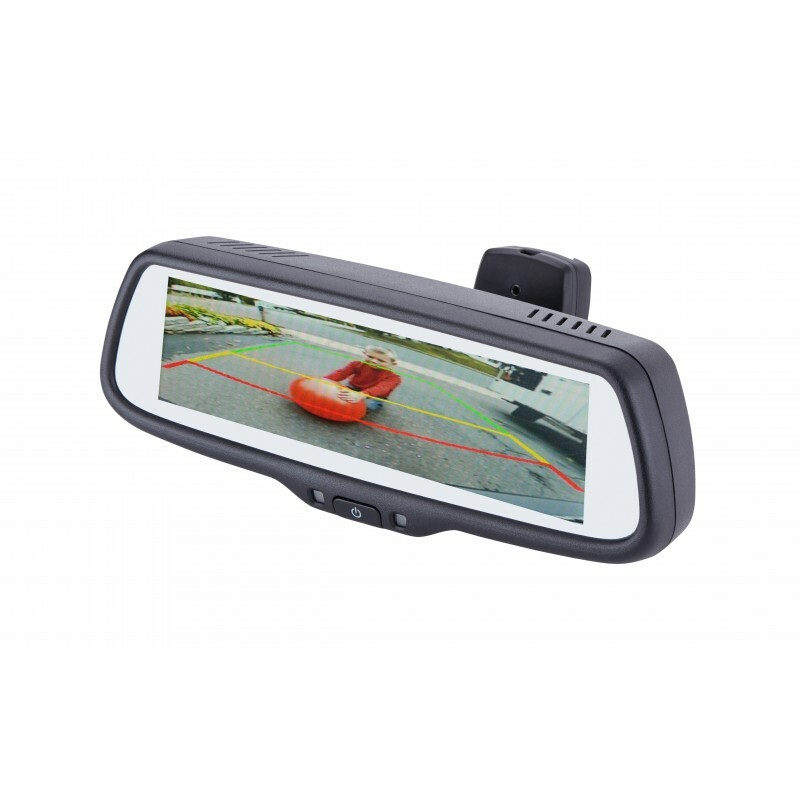 This versatile, universally compatible factory mount replacement mirror is equipped with a 7.3” LCD monitor, giving you a crystal clear view of what’s behind your car. Backing up and parking have never been safer than now. Designed to mimic the factory look while providing extra functionality, the mirror features an auto-dimming display, three display modes and adjustable parking lines. The 3 video inputs, allow simultaneous use with front, rear, and sideview cameras. Three individual triggers switch video displays automatically, and an included remote control lets you select manually. When feeding side bling spot cameras, the camera feeds will show on the mirror's split screen monitors, the side of the mirror the image is shown on, corresponds with which turn signal is being used,a nd which side camera is being shown. The right turn signal activates the right camera, and is shown on the right side of the mirror. On the screen, you can enable and adjust special parking lines, which tell you the exact trajectory of the back of your vehicle. If you’re at risk of running into another car, you’ll know far ahead of time. The PMM-7333-PL is included as part of EchoMaster’s new Blind Spot and Lane Change Assistance System, along with a set of PCAM-BS1-N side blind spot cameras and a PCAM-10L-N license plate mount backup camera. This kit provides everything drivers need to make the driving experience safer and easier than ever before. 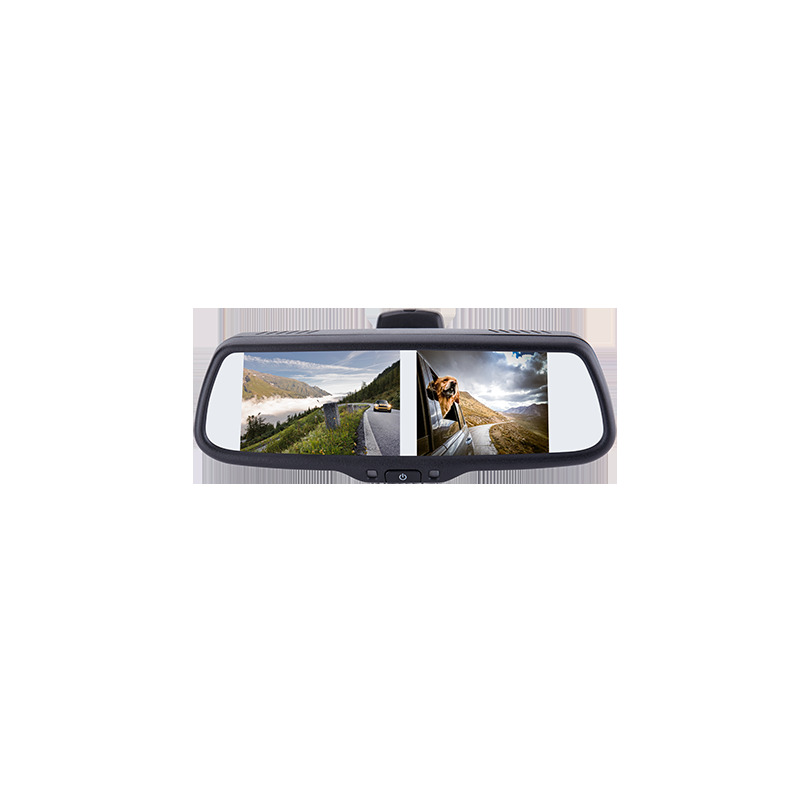 All three cameras feed into the rearview replacement mirror and are triggered by driver behavior. 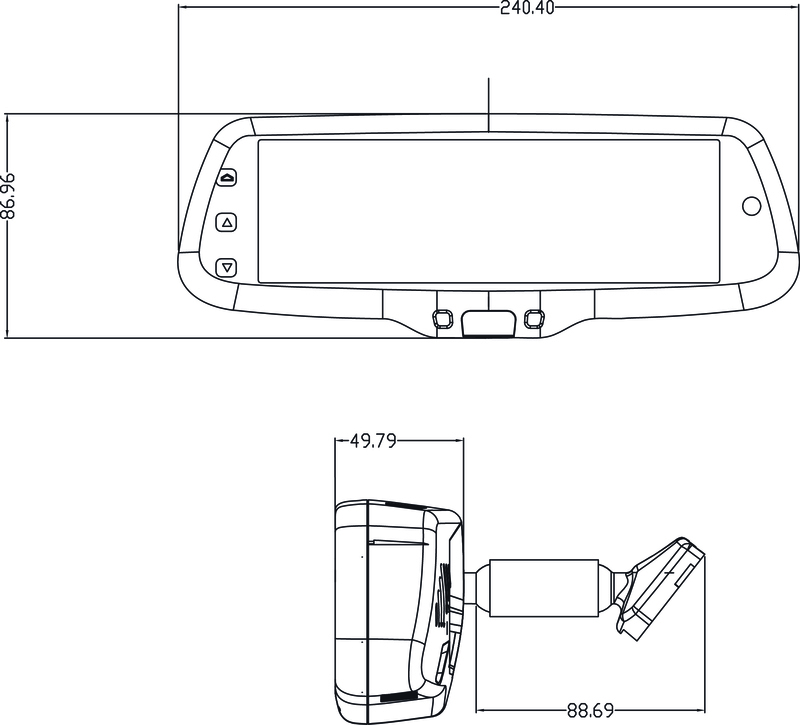 The two PCAM-BS1-N cameras can be mounted under side mirrors and assist during lane changing. Triggered on by the turn signal, the side blind spot is eliminated and a clear view of the side of the vehicle is displayed on the rearview mirror’s split screen mode, depending on which side turn signal is used. 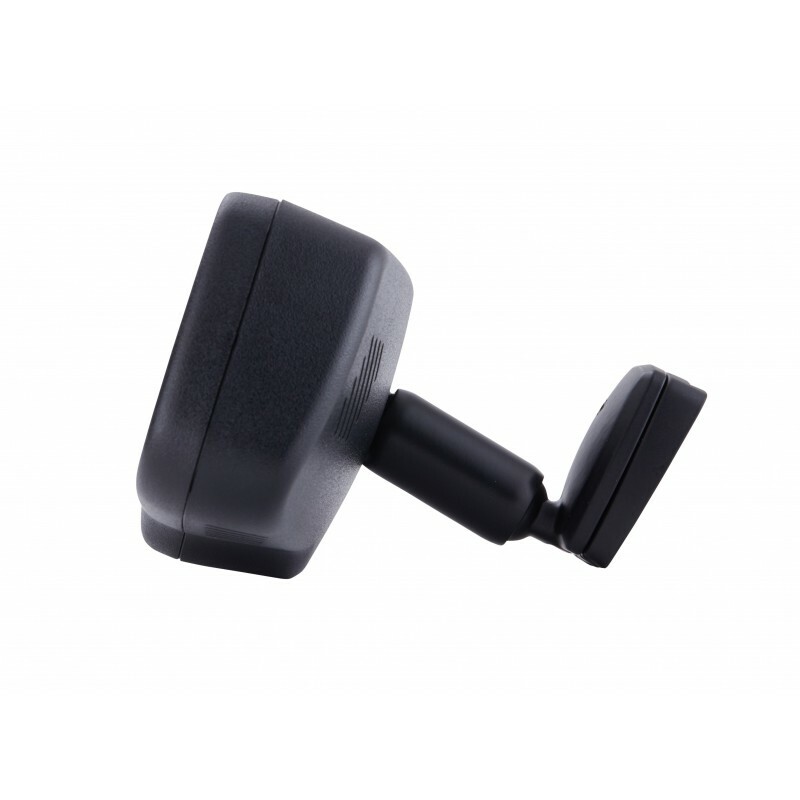 PCAM-10L-N license plate mount camera can be used as a reverse camera, or a front camera. The front or rear image is displayed on the full 7.3” view mode on the mirror monitor.